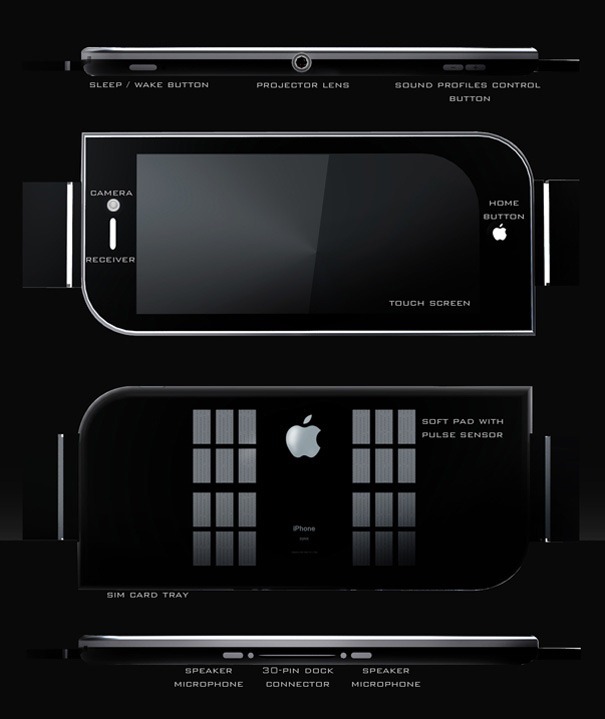 The future iPhone is here or at least in conceptual form. Given that size, design and features need to be drastically innovated, the NOT A Phone – Next Generation iPhone, delves into the projection arena. 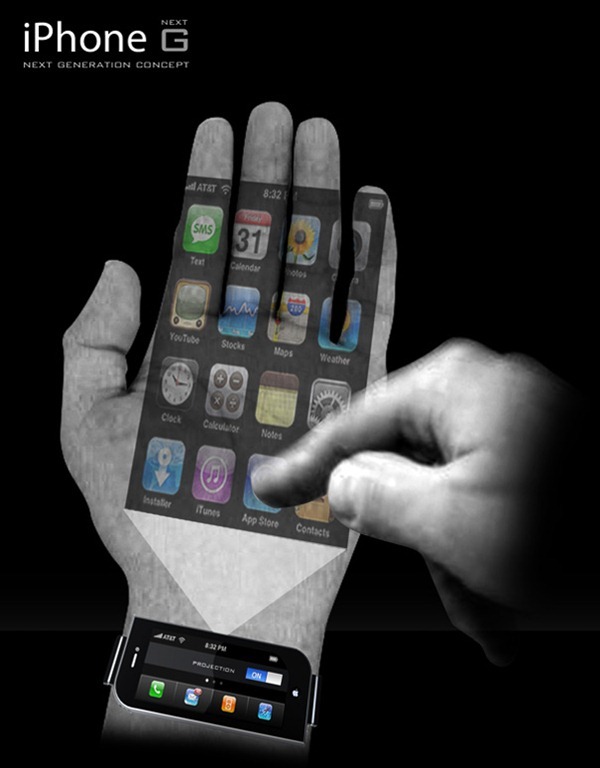 So basically you strap the next-gen iPhone to your wrist and project the display to your palm. You can figure out rest of the drill from the images, so my question to you today is….are we in for projection screens for phones? Is that the future of phone display, have a basic small screen and project the rest of it?